Finally! EL James has unveiled the names of the two actors cast as Christian Grey and Anastasia Steele in the movie adaptation of Fifty Shades Of Grey. The author has announced that Charlie Hunnam and Dakota Johnson are the thesps who have signed up to lead one of the most anticipated film franchises of the moment. James wrote on Twitter this evening: "I am delighted to let you know that the lovely Dakota Johnson has agreed to be our Anastasia in the film adaptation of Fifty Shades of Grey." She later added: "The gorgeous and talented Charlie Hunnam will be Christian Grey in the film adaptation of Fifty Shades of Grey." Johnson, 23, is a model-turned-actress whose CV includes The Social Network and sitcom Ben & Kate. Her appointment presumably means Emma Watson can kiss her days of denying her own involvement goodbye. Her parents are actors Don Johnson and Melanie Griffith, and her step-dad is none other than Antonio Banderas. 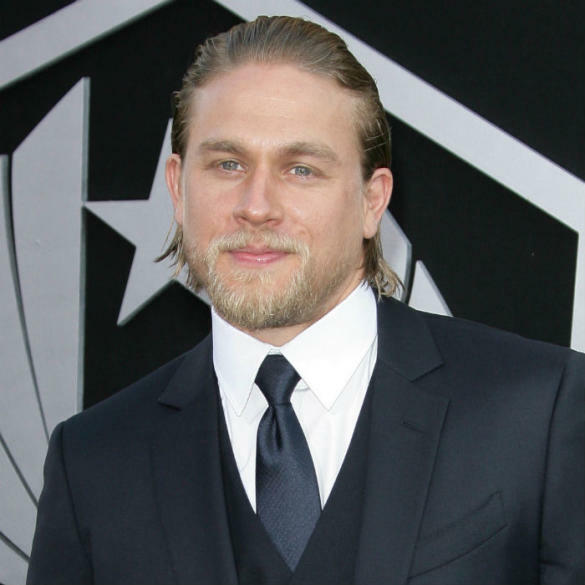 Charlie Hunnam, famed for his roles on Pacific Rim and Channel 4's cult hit Queer As Folk, is a 33-year-old Geordie who picked up a string of awards nominations for his role in TV series Sons of Anarchy. Casting rumours have been flying around for over a year, with Ian Somerhalder, Shailene Woodley and Robert Pattinson all linked to the jobs. Fifty Shades Of Grey broke records when it became a global phenomenon in 2012 - not bad for a project which started life as Twilight fan-fiction.